The statement comes after the US president announced on Twitter that the Saudi King allegedly agreed in a phone conversation to boost oil output. Iranian Oil Minister Bijan Zanghaneh has lashed out at US President Donald Trump's "order," calling on OPEC members to increase oil production, as a "great insult to those governments and nations." "Mr Trump sends every day a new message that creates uncertainty in the market," the official told Iranian TV. He added, however, that Iranian oil production had not changed as a result of Washington's pressure. The statement apparently comes in response to a tweet by Trump on June 30, saying that he asked Saudi King Salman to increase his country's oil production "maybe up to 2 million barrels" amid high energy prices. While the US president claimed that Riyadh agreed with his offer, the White House amended its statement on the phone conversation with the Saudi King a day later, saying that the Gulf Kingdom assured Washington of its ability to use oil production reserves to stabilize the market. The announcement immediately prompted a response from Tehran, with Iran’s OPEC governor Hossein Kazempour Ardebili saying that Trump's request amounts to a call for exiting OPEC. In addition to this, the Iranian oil minister sent a letter to the OPEC (Organization of Petroleum Exporting Countries) president in which he asked him to prevent an increase in oil output by some OPEC members without reaching a consensus. Iranians Believe Trump-Saudi Deal on Oil ‘Part of Regime Change’ Plot – Prof. 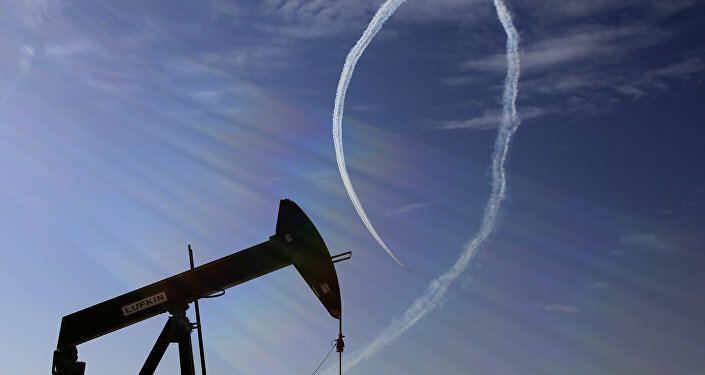 Despite the lack of confirmation concerning the alleged Saudi commitment, the markets have rushed to react to Trump's tweet, with oil prices falling by almost 5 dollars per Brent crude barrel on July 2. In late June, OPEC members and other major oil producers that participated in the 2016 Vienna deal, including Russia, agreed to increase oil production to one million barrels per day, which is the volume of the countries' over-compliance with the agreement. The deal, which came into effect in 2017, has been extended twice since then and will remain in force until the end of 2018. However, oil output under the deal was increased by a total of 1 million barrels per day in June.